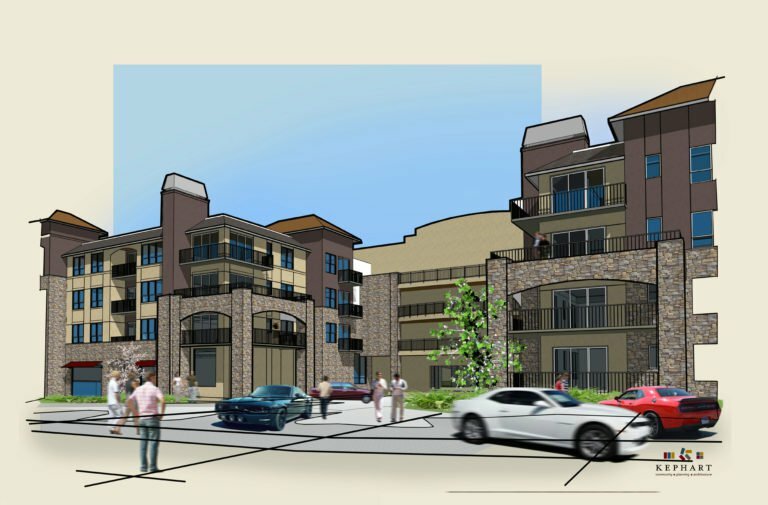 El Dorado County, project developer The Spanos Corporation, Citizens for Sensible Development in El Dorado Hills and Sue Taylor have reached an agreement that is intended to resolve all legal disagreements about the El Dorado Hills Apartments project in the El Dorado Hills Town Center. After more than five years of project development and disputes, this collaborative resolution will allow for construction of the apartments to begin. Spanos originally proposed a 250-unit development in 2014. CSDEDH legally challenged the approval of that project; that challenge was upheld by the trial court and an appeal in that lawsuit is still pending before an appellate court. While that challenge was being litigated, Spanos went back to the drawing board and created a new project that reduced the number of units to 214 and incorporated new designs and features. In addition, Spanos prepared a full environmental impact report, something CSDEDH had requested for the 2014 version of the project. After the county approved the new project in February 2018, CSDEDH and Sue Taylor filed a legal action challenging those new approvals. The parties have now entered into an agreement that is intended to be a global resolution of all issues. As a result, Spanos will request rescission of its original project approval from 2014. The county will then act on that request for rescission, CSDEDH and Sue Taylor will dismiss the lawsuit challenging the 2018 approvals, the parties will request that the appellate court dismiss the appeal related to the 2014 approvals and Spanos will move forward with the new 214-unit project design. While the agreement between the four parties does not change the new project that the county approved in 2018, Spanos has further memorialized its commitment to preserve approximately half of an acre of the project site for open space for passive recreational use by the public. To provide greater clarity, the county will also make a minor technical amendment to its General Plan to clarify that the project is an exception to the maximum density allowed by the General Plan. Construction on the project is anticipated to begin in the summer of 2019 with the project expected to be completed by the summer of 2021.